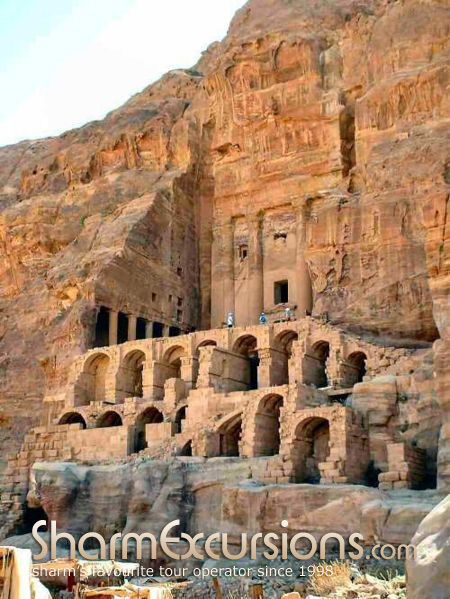 Established in 6th century BC as the capital city of the Nabataeans, Petra has been chosen by the BBC as one of "the 40 places you have to see before you die" with its spectacular architecture cut into the rock and water conduits. What better way to get here than by boat. 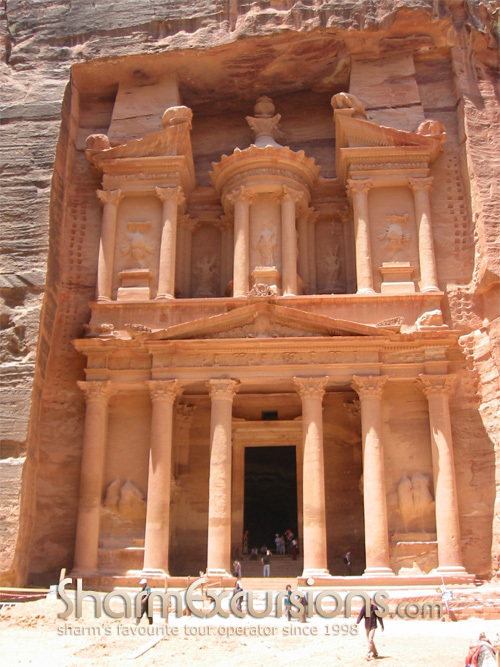 "A Rose-Red City half as old as time"
Petra remained unknown to the western world until it was discovered by Swiss explorer Johann Ludwig Burckhardt in 1812. Since then it has become Jordans most visited tourism attraction. 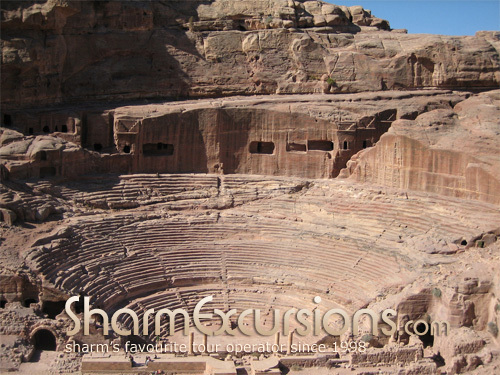 Described as "one of the most precious cultural properties of man's cultural heritage", and included in BBC's "40 places you have to see before you die", Petra is a must see on a holiday to Sharm, Egypt. Lying on the slope of Mount Hor in a basin amongst the spectacular mountains of Wadi Araba, Petra is famous for its architecture and water conduits system, as well amazing Roman theatre and scenery. 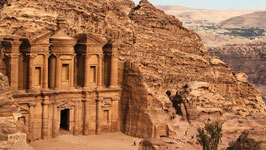 From there you will drive on an air conditioned coach to Petra where a guided tour begins. 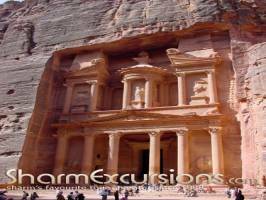 We will enter Petra on foot through the spectacularly beautiful narrow and winding gorge over 1kilomete in length, until the gorge opens out revealing the Great Treasury (which can be seen in the pictures below). After visiting the Great Treasury your guide will take you around the grand Roman Theatre of Petra. Next on your guided tour is the the Royal Tombs (the Rainbow Tomb is a must for photographers), as well as hundreds of monuments, tricliniums, and obelisks, all carved from the multi-shaded, rose red sandstone. You will then have lunch at the Movenpick hotel, before driving back to Aqaba at 6.45 pm, an hour free time for shopping, and then take the ferry at 07.30 pm back to Taba, drive back to your hotel in Sharm . 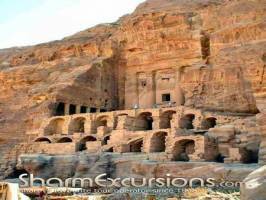 My family is very interested in the cairo, luxor and petra trip however petra is a concern how safe is the journey to petra have any incidents with tourists happened. All trips are running normally now and very safe. If there is any concerns over safety of a tour then we are very quick to suspend it until we feel it is completely safe. 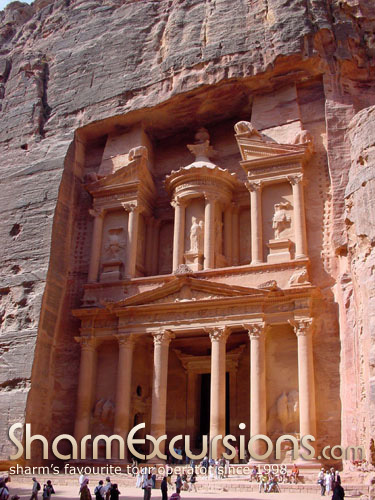 We would like to do this excursion when we are in sharm el sheik in dec this year.I want to know about the visa requirements for going to Petra from Sharm. We have Indian and British passports in the family. We recommend to book online because we offer 7% discount on online booking and also to have more availability to go on your preferable day so that means to save your time and money ! We are travelling to Sharm in the first week of November (1st-8th). 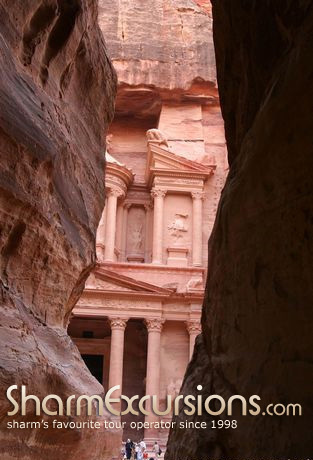 We were wondering if the Petra by boat tour is running at this time? 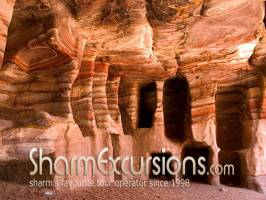 Petra Trip by boat from Sharm is running all the year ! 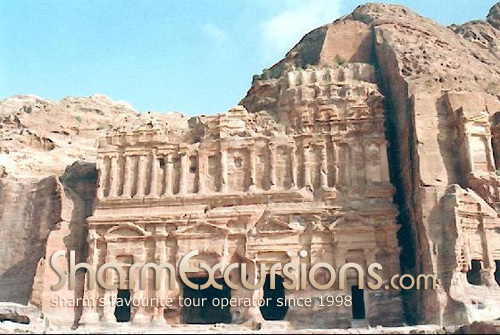 Will the Petra by boat excursion be available first two weeks in September 2013? Yes ! 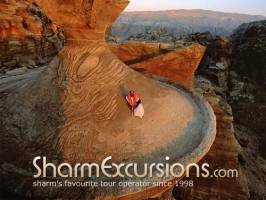 Petra by boat trip from Sharm is available on Tuesday and Friday weekly ! 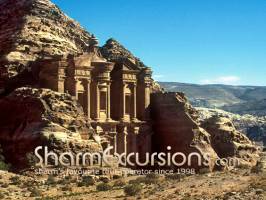 Do we need a visa to travel to Petra from Sharm? 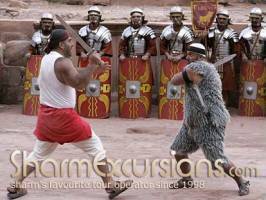 the visa which you need to go on the trip to Petra from sharm we arrange it for you and this visa is included in the cost of the trip ! 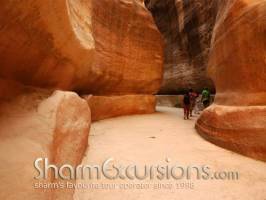 Hi what days of the week do you offer the sharm el sheik to Petra 1 day trips via plane. I am staying in Sharm end of april beginning of may. 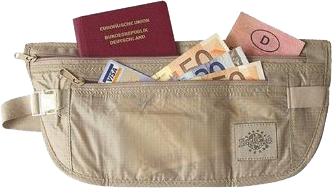 My girlfriend and I are looking at doing the trip priced at �245 each. Friday 29th April 2011 was the likely date we were looking at carrying out the trip. 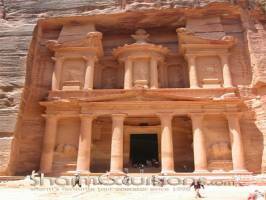 This trip to Petra is the same Jordan Petra that is one of the 7 wonders of the new world? I am just checking that you get to see this part on the excursion. Petra by Plane only on Fridays but by boat every day . There's more Customer Questions about this Trip! 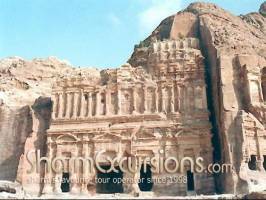 This is just the last 5 customer questions about Excursion to Petra from Sharm by Boat, if you want to see them all please click below. Drinks in the Restaurant .